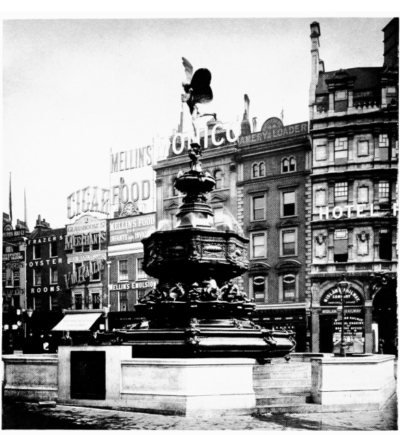 Adrian The Shaftesbury Memorial Fountain in Piccadilly Circus was erected in 1893 to commemorate the philanthropic works of Anthony Ashley Cooper, 7th Earl of Shaftesbury. 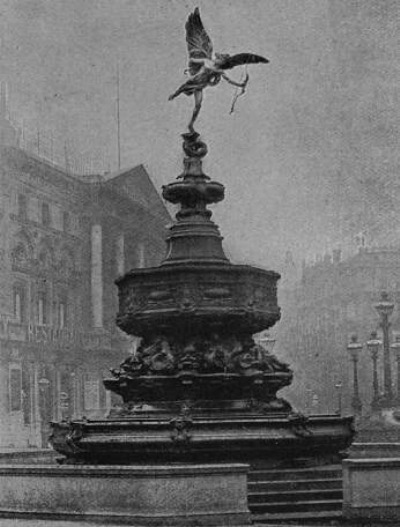 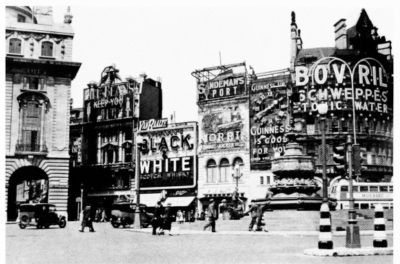 During the Second World War, the statue atop the Shaftesbury Memorial Fountain was removed and was replaced by advertising hoardings. 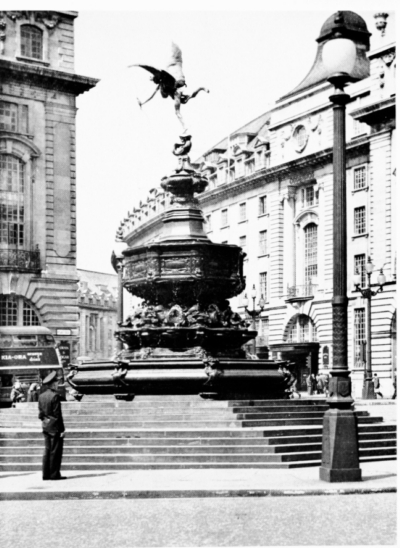 It was returned in 1948. 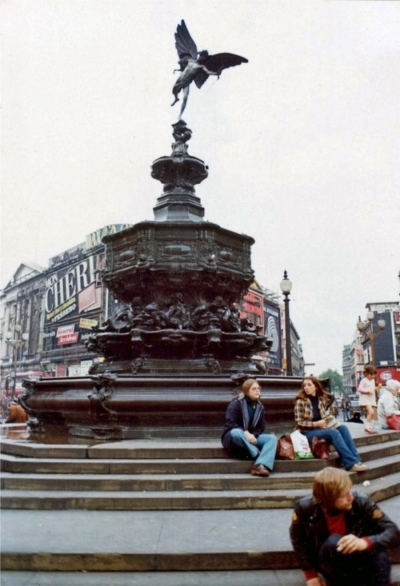 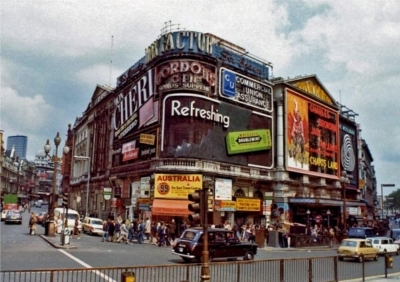 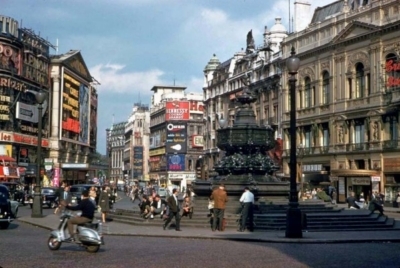 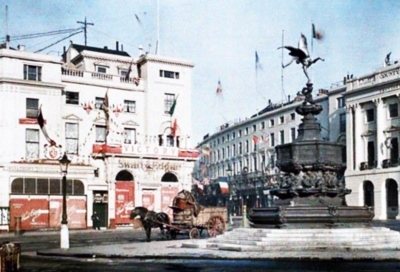 When the Circus underwent reconstruction work in the late 1980s, the entire fountain was moved from the centre of the junction at the beginning of Shaftesbury Avenue to its present position at the southwestern corner. 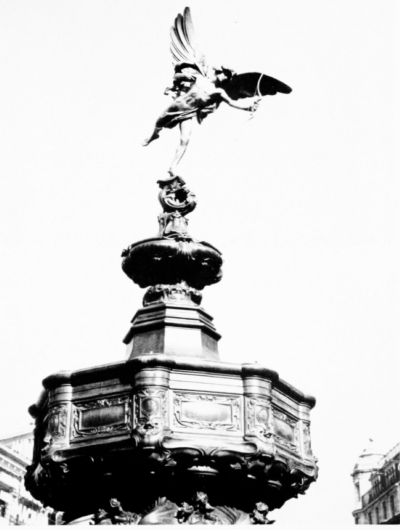 The subject of the Memorial is the Greek god Anteros and was given the name The Angel of Christian Charity but is generally mistaken for his brother Eros. 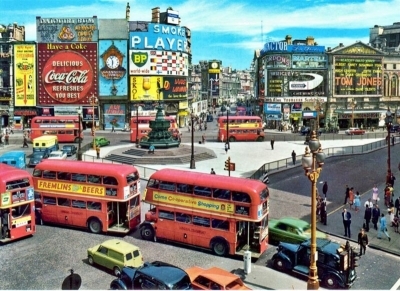 Adrian Is it really boring of me not to like the changes that have taken place over the last 50 years? 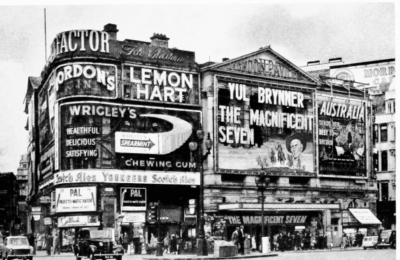 The cosy sleaze of Soho has become a - I don't know what but I do get the impression it's not as welcoming any more. 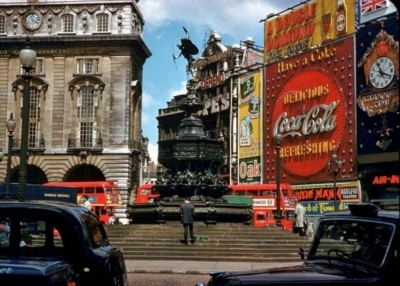 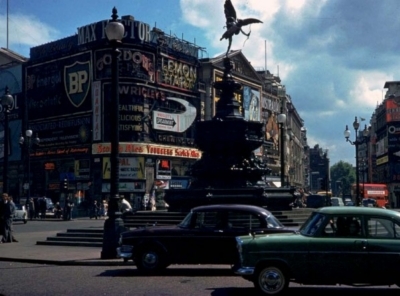 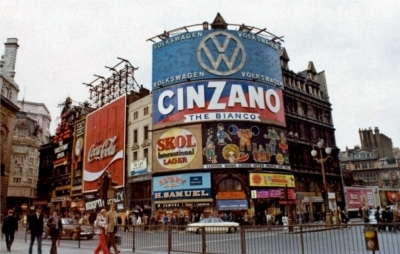 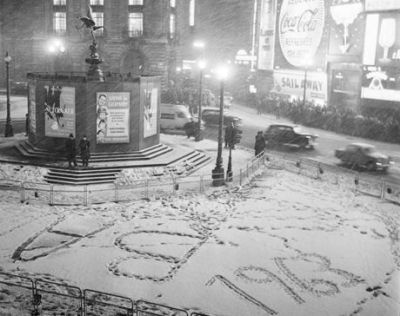 Piccadilly Circus was originally formed in 1819 by the intersection of Piccadilly and Nash's New Street. 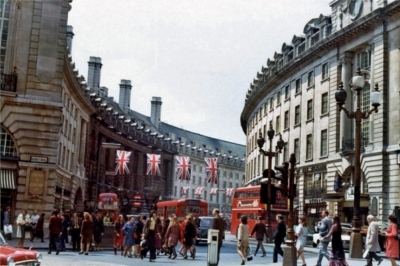 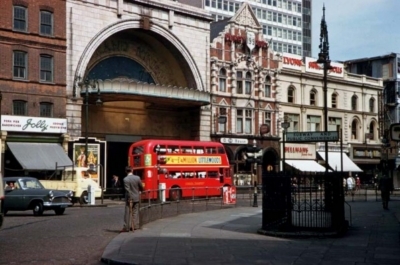 It was one of the two links which joined together the three sections of Regent Street, and was known as Regent Circus South, Oxford Circus being called Regent Circus North. 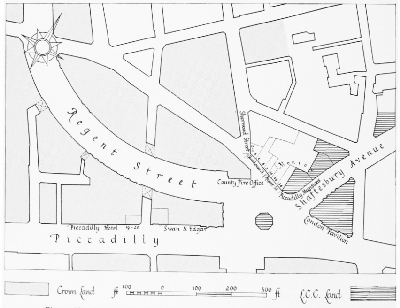 Northwards from the Circus a short length of street, terminated at the north end by the County Fire Office, led to the Quadrant on the west and to an opening into Tichborne Street on the east. 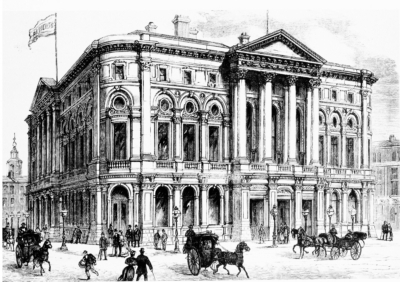 The original buildings in the Circus will be described and illustrated in a later volume of the Survey of London which will be concerned with the whole of Regent Street. 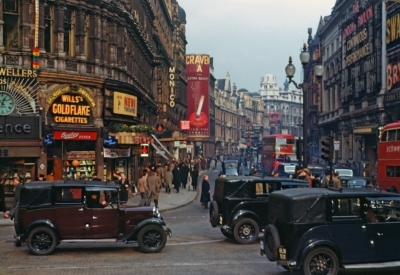 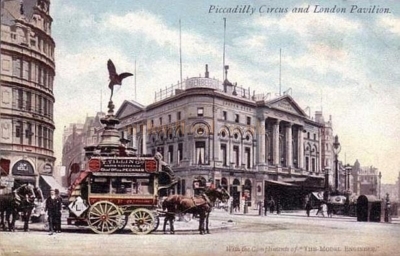 Since the formation of Shaftesbury Avenue in the 1880's, however, Piccadilly Circus has ceased to be a circus, and has become the most famous place in the whole of London. 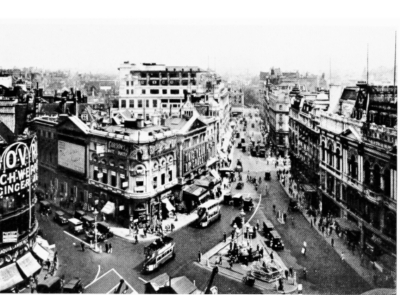 It cannot be considered in isolation from either Shaftesbury Avenue or the Regent Street Quadrant, and its evolution away from Nash's original plan therefore comes within the scope of the present volume. 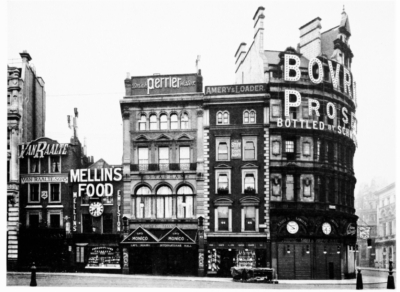 The construction of the south end of Shaftesbury Avenue involved the removal of the triangular block of buildings which formed the south-west side of Tichborne Street. 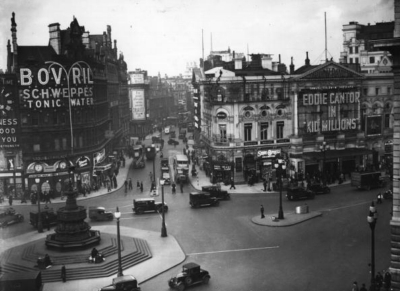 This triangle also formed one of the segments of Nash's Piccadilly Circus, and its removal reduced the Circus to an undistinguished and ill-shaped vortex of converging streets. 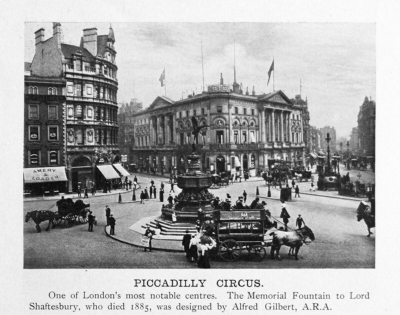 Shaftesbury Avenue was opened in January 1886. 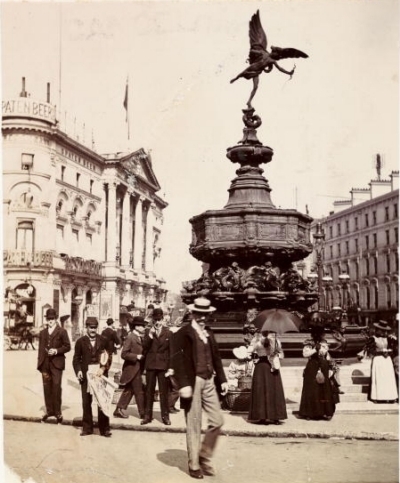 Text extracted from British History Online, a digital library of key printed primary and secondary sources for the history of Britain and Ireland, with a primary focus on the period between 1300 and 1800.